AVERAGE OPPOSITION.COM: World Cup Final - Striker Light? What happens to the World's leading goalscorers in the World Cup Final? Jurgen Klinsmann, Romario, Bebeto, Roberto Baggio, Miroslav Klose, Oliver Bierhoff, Ronaldinho, Rivaldo, Del Piero, Francesco Totti, Thierry Henry, David Trezeguet, Robin van Persie, David Villa, Fernando Torres. All great players, all big names, all prolific scorers. Between them they have 77 goals in World Cup tournaments. All have played in World Cup Finals, all have failed to score. For those fans lucky enough to get Brazil 2014 Finals Tickets, the chances are that it's not going to be decided by a striker. The principal reason for starting this site was to see who the big game players were, and by looking at the ranking of the opponents, we've been able to identify these to an extent. But what of the biggest game of all? When researching the Thierry Henry vs Ruud van Nistelrooy comparison, I noticed the quality of Forwards on show in France's 1998 and 2006 World Cup Final appearances. Brazil's Ronaldo and Bebeto, France's Thierry Henry and Trezeguet, and Italy's Del Piero, Toni, and Totti. All quality players, yet none made an impact on the scoresheet. And it's not just the 1998 and 2006 Finals. The 1986 Final saw goals from Burruchaga and Valdano for the winners Argentina, whilst Voller and Rummenigge did the same for the West Germans in a 3-2 defeat. Since then only one Striker has scored in the biggest game in World Football. Granted, it's only once every four years, but that's still 6 games, 12 teams, and on average two strikers per team - 24 opportunities. Only the great (and real) Ronaldo has managed to break the pattern with his 2 goals in 2002 - and the big story there was redemption from the 1998 Final, where he was anonymous - albeit under strange circumstances. On closer inspection, you could argue that the big game players in those Finals have been the defenders and keepers. 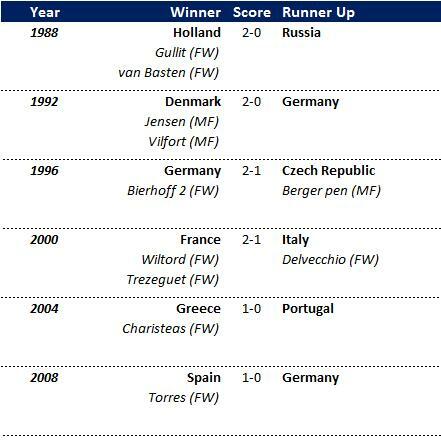 On 6 occasions in the 6 World Cup Finals from 1990, there has been clean sheets kept. In fact, the only occasion that the runner ups have scored was in the 2006 Final, when Zidane scored from the spot, before seeing red. Indeed, the 2010 World Cup Final saw some vital saves from Iker Casillas, whilst the 1998 and 2006 winners, France and Italy, were teams built on strong defensive models. In those 6 World Cups there were five goals for Midfielders, and two each for Defenders and Forwards. For a start, the games are now a lot tighter. The mentality seems to have changed from the beautiful attacking game, to keeping it tight and building from the back. 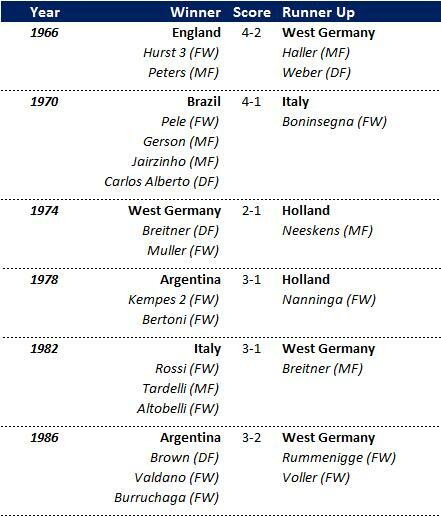 Although the 1986 Final was a classic, certainly in terms of goals scored, the change in mentality can be traced back to the 1982 World Cup. Most commentators regularly nominate the 1970 Brazil team as the best side of all time, however, there is also a case for the 1982 side. Containing the likes of Zico, Socrates and Falcao, it has been described by many as the best team of all time, and certainly one of the best to watch. However, their lack of silverware coupled with a similar failure for Holland's Total Football team in the 1970s convinced coaches that attractive football didn't win trophies, as described more eloquently here and here. The average number of goals in the last 6 finals is a miserly 1.5 per game. By way of comparison, the previous 6 finals generated a massive 27 goals, at an average of 4.5 goals per game. Not a clean sheet in sight, which perhaps best illustrates the change in mentality. Of the 27 goals, 16 were scored by the front men. Comparing different era's can never be conclusive due to all of the different factors, but a swing from 4.5 goals per game to 1.5 per game certainly points to a trend. There's also the small matter of the Occasion. 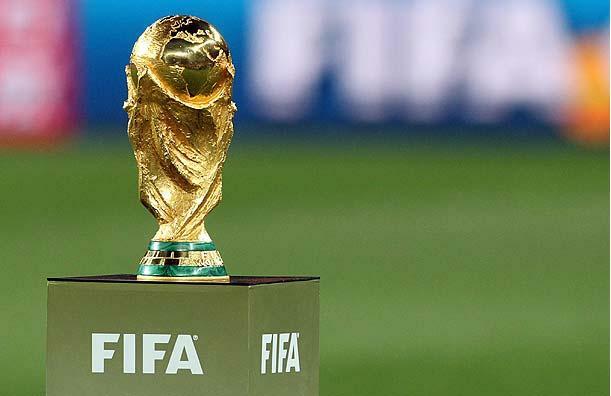 Whilst the World Cup Final has always been the biggest game in World football, the scale has undoubtedly increased, with the number of teams, the number of viewers and the coverage. The fact that the game is once every 4 years also adds to it. The idea of making a mistake at this level, with the World's eyes on you, and having to wait 4 years to make ammends (see Ronaldo) must undoubtedly play a part. It's also worth noting that most players to play the game don't even get a chance to experience the World Cup, let alone play in the Final. So what of the next biggest games in Football - The European Championship Final and the Copa America Final. After that, you have Champions League Final, though of course this is repeated on an annual basis. So are those finals similarly troublesome for Forwards? Well the short answer is no. Of the last 6 European Championships Finals, there's been 8 goals by the forwards. 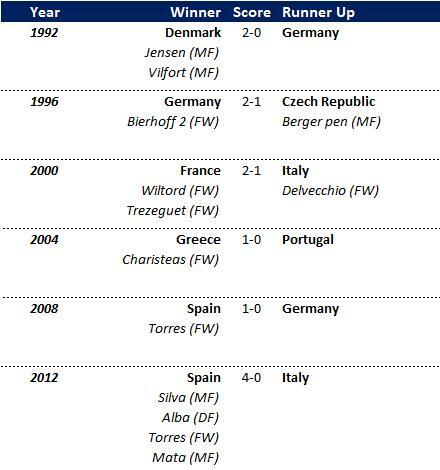 Interstingly enough, Bierhoff, Torres, Wiltord and Trezeguet have all played in a World Cup Final without scoring. Upon further investigation, the same patterns seen in the change of era and mentality can also be applied to the Euro's when comparing to the 6 prior finals - though not to a same extent. The average number of goals in the last 6 finals is 2.3 compared to 3 goals in the previous 6 finals. There were also only 2 clean sheets in the finals from 1964 to 1984 as opposed to the 4 in the last 6. Similarly, for the South American equivalent, the Copa America, there's no problem for the Strikers there either. Of the last 6 tournament finals, only the 2001 Final won by Colombia didn't have a goal by a forward. And that Tournament was different due to the stay away stars - after fear of kidnapping. It was the host's Ivan Cordoba (DF) that settled it that year. In the other years? Ronaldo (in two finals), Rivaldo, Adriano, Suarez, Forlan, Edmundo and Delgado were all on the score sheet. As the tournament was previously held every 2 years, even going back to 1993 saw a couple by Garbiel Batistuta. Familiar names, performing on one of the biggest stages, but not the biggest. And then there's the Champions League. It doesn't take much investigation to see the impact that forwards have had on the most recent finals - Mandzukic in 2013, Drogba in 2012, Messi, Villa, Pedro and Rooney all scored in 2011, Diego Milito grabbed a brace in 2010, whilst Messi and Eto did the business in 2009, both having scored in two separate finals. All massive tournaments, but not the big one. Not the best players in the whole world and not the same coverage. The World Cup Final is the pinnacle in the career of any player, and it's only natural that nerves play a part in the biggest occasion of their careers. There's also the matter of player form, both in the Tournament and the proceeding season. The 2010 World Cup Final showcased the talents of Robin van Persie, Fernando Torres, and David Villa, with supporting roles played by Kuyt, Robben and van der Vaart. Looking at the form and fitness leading into the Tournaments, in 2010 Robin van Persie and Fernando Torres were battling for full fitness, and it showed. Since the 2010 Final, van Persie has scored a phenomenal 50 goals in 63 games for Arsenal, whilst Torres had 39 in 70 games for Liverpool before the tournament. Timing can be very important with over coming injuries. Torres for example was injured from April 2010, and endured a miserable World Cup, with no goals in seven games. Similarly, van Persie only scored one goal in the same number of games, whilst not fully fit. However, Brazil's Ronaldo had missed the best part of 2 years with serious knee injuries going into the 2002 tournament, but crucially, his return to fitness allowed him to play 16 games for Inter, and regain some of his match fitness and sharpness. With that momentum in force, he went on to score 8 goals, and is the only Forward to score in Football's biggest game since 1986. In terms of club season, notable efforts include Henry and Toni's 33 goal hauls, Trezeguet's 29 and Villa's 28. Yet despite the great club form, none of them could manage it in the World Cup Final. 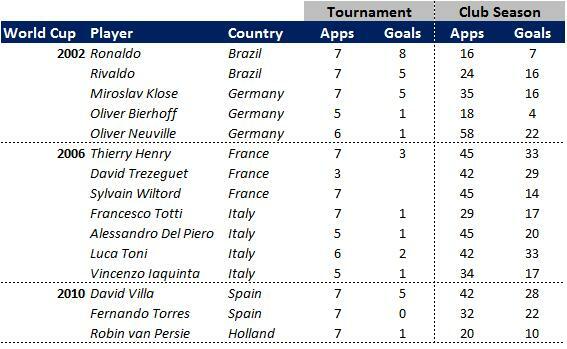 In terms of tournament form, Klose, Rivaldo and Villa all had impressive totals of 5 goals in their 6 apperances prior to the Final, but yet again, none were able to repeat the recent good form in the Final. There isn't a clear conclusion on why Forwards have a poor goal scoring record in recent World Cup Finals. There is the changing dynamics of football tactics, which have certainly contributed to the number of goals scored, but that doesn't explain why Midfielders have still managed to get in on the scoring. Perhaps you can point to the tight marking that Forwards have to endure, whilst they make space for the players running from deep. But then when we've looked at the other big games outside of the World Cup, the pattern hasn't repeated - with Forwards dominating the goal scoring. There's the pressure of the biggest spectator event in the World hanging over the players, something that leads them to be terrified to make mistakes, and play safely, and perhaps even within themselves somewhat. With that pressure, there is the need for a strong psychology. It's surely no coincidence that Ronaldo scored in his second World Cup Final appearance (as did Zidane). There's other aspects as well that haven't been covered above - such as how their team mates have performed. Strikers very much rely on the rest of the team to create chances for them. If the rest of the team are also playing it safe, and with the opposition much more defensive (as we've seen), then all the clever running and positioning in the world won't help in front of goal, unless you have the ball. So in conclusion, the changing mentality of tactics, the pressure of the event, the luck with injuries and the performances of their team mates, all contribute to a Forwards chances of scoring in the World Cup Final. 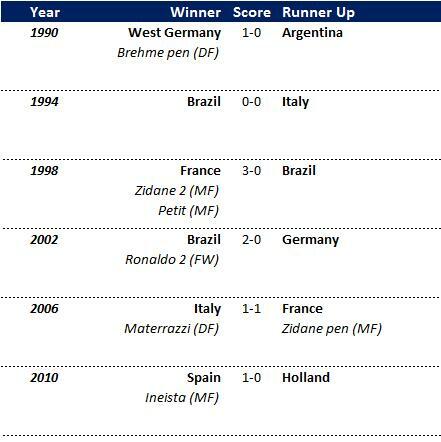 Look at the major Finals that Brazil's Ronaldo has played in, 1998 World Cup excluded (on medical grounds). He has played and scored in the 2002 World Cup Final, the 1997 and 1999 Copa America Finals, the 1997 Cup Winners Cup Final, and the 1998 UEFA Cup Final. He epitomises the big game mentality that's needed. Similarly, Zinedine Zidane had the same mentality, scoring in two World Cup Finals, and a Champions League Final. It's this ability to perform on the biggest stages that makes them truly great players.